Afraid my O Level Spanish is only now good for Hotels & Restaurants but welcome to the forum!! Where is Spain are you? PS (06/01/19) thanks for translation to English. Your English is much better than my Spanish!! Having had 4 yellow sports cars in the past: Triumph TR7; MGBGT;Mercedes SLK & MGTF I look forward to seeing a yellow Wind. I have a feeling it will look good! 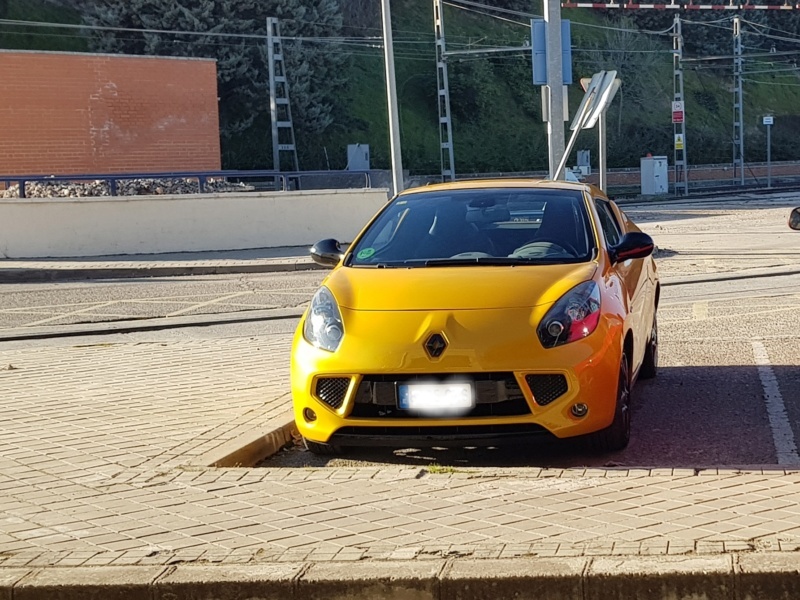 I’ve had it in my mind to change my black one to Renaultsport yellow, leaving the roof, mirrors, grille etc black. Looking forward to seeing the finished photos. already primed and ready for tomorrow to paint it on the outside, the roof will also turn yellow! When you said you were doing the roof yellow I had slight concerns but it really works. Just enough black retained (front; rear; wing mirrors; wheels) to make a contrast to enhance the yellow.